It’s Hedgehog Awareness Week (3-9 May) with many ‘hedgehoggy’ events being held around the country, it is organised by the British Hedgehog Preservation Society and aims to highlight the problems that Hedgehogs face and how we can help them. There is no doubt about it a lot of you have been thinking about Hedgehogs this week, many of our wonderful Hedgehog Houses have been flying of the shelves complete with Hedgehog Food, Dishes and Hedgehog Guides what caring people you are. We all love Hedgehogs but rarely get the chance to see them as they are nocturnal, usually only coming out at night to look for food having spent most of the day sleeping. At night Hedgehogs tend to ‘do the rounds’ and will visit many gardens unfortunately many gardens are fenced off, our gardens could provide the perfect habitat for Hedgehogs, just imagine if they were all joined together what a massive area this would be, in fact over half a million hectares. Hedgehog Street is a campaign by The Peoples Trust for Endangered Species and The British Hedgehog Society which aims to ensure that the Hedgehog, the UK’s only spiny mammal, remains a common and familiar part of British life. Hedgehogs are in trouble, we’ve lost a third of all our hedgehogs in ten years. 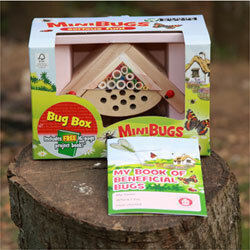 Their campaign is as much about getting people to cooperate as it is about gardening for wildlife. Make a hole in your fence or wall so that Hedgehogs can wander in and out, 13cm x 13cm is big enough but too small for most pets, ask your neighbours to do the same. Hedgehogs are good swimmers, but can’t climb out of steep-sided ponds and will drown, set a pile of stones, a piece of wood or some chicken wire at the edge of your pond to create a simple ramp. Leave the plants/weeds/grass to grow in a corner of your garden, don’t cut them back in winter, include some thick stems or branches to add structure this is an ideal place to put a Hedgehog House. Hedgehogs can often become tangled and trapped in netting or litter such as food or drink cartons, replace netting with a rigid structure and keep taut, store netting inside when not in use. Hedgehogs really benefit from extra food, using it as a supplement to their natural diet, meaty cat or dog food, hedgehog food, and mealworms are all suitable. Put out a bowl of fresh water daily, water can be scarce at certain times of the year. Lawn treatments reduce worm populations, pesticides, insecticides and slug pellets are toxic and unnecessary in a healthy, well-managed garden, if you have a big slug problem use safe deterrents such as Slug Gone and Copper Tape or try Slug Traps or Nemaslug. Hedgehogs will not run away from the sound of a mower or strimmer – check before you cut and avoid causing horrific injuries or death. Single hedgehogs are easily moved, but use gloves! Moving a hedgehog family is more complicated and ideally they should be left undisturbed. 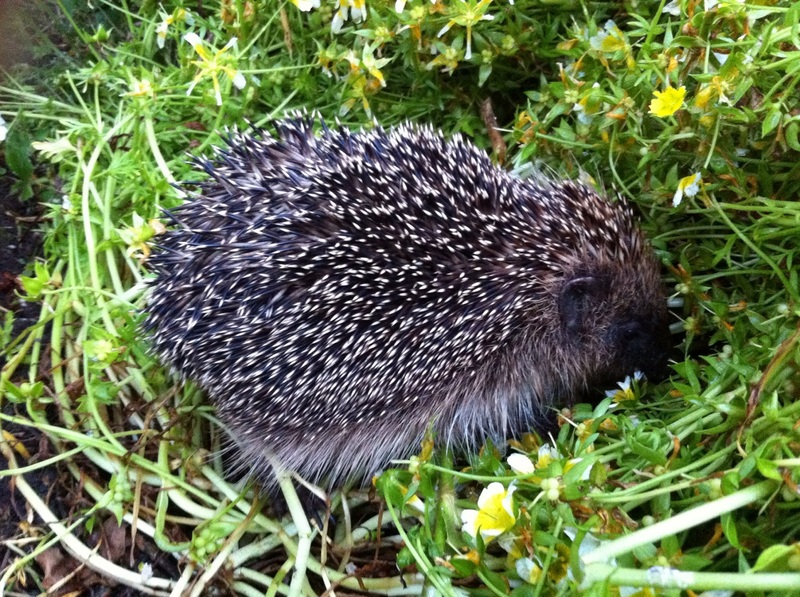 Piles of twigs, branches, leaves and grass are irresistible to a hedgehog looking for somewhere to hibernate or nest – if you have debris to burn, build your bonfire or move an existing bonfire on the day of burning. 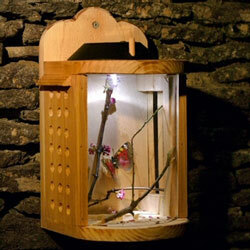 One of the best features for encouraging all kinds of wildlife – and so easy to make, it will attract insects, creatures and animals and provide nesting opportunities all year round. Most of the above tips are very simple and would make such a huge difference to our Hedgehogs, why not see what you can do in your garden, have a chat with your friends and neighbours too. Hedgehogs are busy at the moment looking for a safe place to hibernate and eating plenty of food to build them up for the long winter months, if you love Hedgehogs why not have a go at our two free Gardening with Children Competitions, one in the Family Zone and one in the School Zone. All you need to do in the School Zone Competition is to correctly identify which Trees the Seeds and Leaves pictured come from, in the Family Zone Competition you have to correctly identify the Fruit/Berries pictured, in each competition there is a list of options to help you. So what are you waiting for? Click on the above links to enter and find out more! If you have been reading my previous blogs you will know that I love Autumn especially getting out for a walk and collecting leaves, seeds, nuts and fruits I simply can’t resist it. The fruits such as Blackberries and Apples can be cooked to enjoy now in Pies and Crumbles or made into jams, chutneys and preserves to savour over the next few months, the seeds and nuts can be planted and will produce new flowers/wildflowers for your garden or a new generation of trees, all that remains are the stunning colourful leaves and the seed/nut cases. You can have lots of fun with leaves and when you have finished they can be turned into valuable leaf mould for your garden, for lots of ideas for your wonderful leaves click here. This year the Beech has produced a bumper crop of seeds (which are often called Beechnuts or Beechmasts) and as I have quite a lot of the Beech seed cases I got thinking … they are very dry, hard and often spikey just like the prickles of a Hedgehog, so why not …. Choose a potato preferably with a flat side (to stop it rolling around) this will be the bottom. Leave one end of the potato bare for the face then make holes with your cocktail stick in rows along the back and sides inserting beech seed cases by their stalks until you have covered your potato. 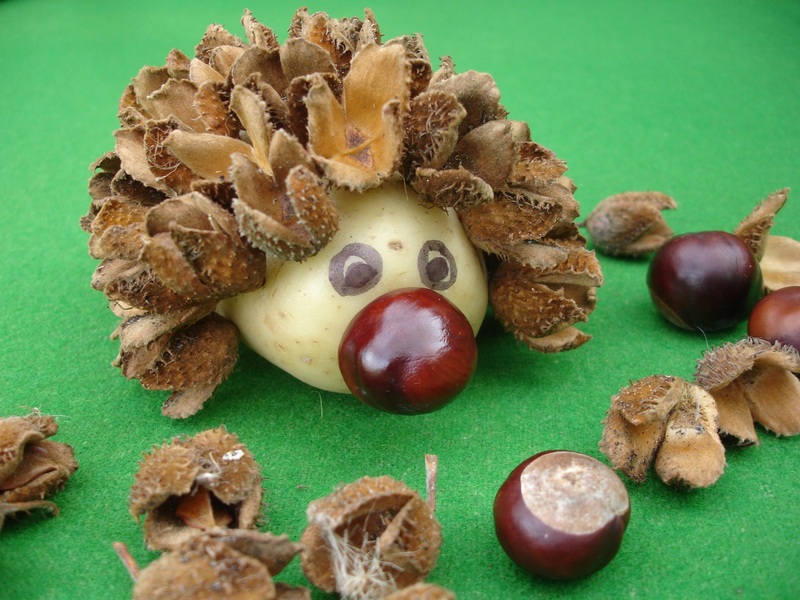 If you have plenty of materials why not make a Hedgehog family and arrange them on a tray/lid with some of your leaves. Hedgehogs are busy at the moment looking for a safe place to hibernate and eating plenty of food to build them up for the winter months, why not have a go at the new free Gardening with Children Family Competition or School Competition for a chance to win a Hogitat Hedgehog House, a Field guide to Hedgehogs and some Hedgehog Food for the Hedgehogs in your garden. In the Family Zone our August Competition was to ‘Send in a photograph of your favourite crop, which you have grown this year’, we had some lovely photographs sent in from lots of enthusiastic young gardeners, but the overall winner was Ben Hamilton from Dronfield, Derbyshire, ‘Well Done Ben’ we hope that you enjoy using you prizes of a Gardener’s Apprentice Digging Fork and Hand Fork, a Wooden Trug and a pair of Gardening Gloves. We loved the photograph showing Ben sat next to his prized tomato plant eating his delicious crop, he looks thrilled. Ben’s tomato plant is amazing and looks very healthy, it has obviously been well looked after, and there are lots more flowers and tomatoes to come. by completing the Hedgehog Wordsearch. by completing our Who am I? Wildlife Quiz. The closing date for both competitions is 31st October, 2012 so don’t delay enter today. Thank you to everyone that took part in our June/July 2012 Competitions on the theme of Butterflies, we were inundated with entries, which just goes to show how popular these stunning creatures are. The Schools Competition was a Butterfly Wordsearch and was won by Blaengarw Primary School, Bridgend, South Wales whose correct entry was the first to be pulled out of the hat. Their prizes of a Solar Insect Theatre and a Butterfly and Moth Feeder are on their way, we hope that they will enjoy these great wildlife prizes. The Family Competition was to fill in the missing colours to complete the butterfly names and the winning entry was by Lily Boyd from Ipswich, well done Lily. We hope her prizes of a Solar Insect Theatre and a Butterfly/Bee Nectar Feeding Station attract lots of Insects and Butterflies to her garden. In the School Zone you could win a Hedgehog Kit which includes a Hogitat Hedgehog House, a Hedgehog Guide, a Hedgehog Snack Feeding Bowl and some Hedgehog Food by completing the Hedgehog Wordsearch. 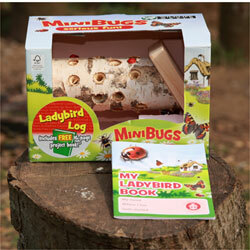 In the Family/Kids Zone you could win a Mini Bug Bug Box, a Mini Bug Ladybird Tower and a Minibeast Guide to help you to identify the bugs in your garden by completing our Who am I? Wildlife Quiz. Our latest competition winner Ryan Cinato wrote about wanting a hedgehog to come into his garden and it got me thinking about how special and unique these little creatures are. Hedgehogs are a gardener’s friend and a welcome visitor in any garden. Everyone knows what a hedgehog looks like but did you know that there are approximately 5,000/7,000 spines on an average adult hedgehog each one is 25mm(1”) long, they are really modified hairs and are absent from the face, throat, chest, belly and legs where they are covered with coarse, grey-brown fur. Something that I did not know is that hedgehogs have a small tail. If you want to help hedgehogs and encourage them to your garden why not start by putting out some Hedgehog Food for them. At this time of year, end March beginning of April, hedgehogs should be emerging from their winter hibernation and will be very hungry. 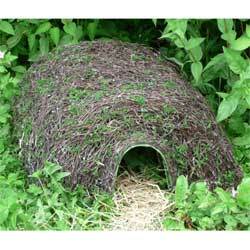 A hedgehogs natural diet consists of earthworms, slugs, beetles caterpillars, snails etc. these become harder to find in cold or dry weather but to supplement their diet during these difficult times and when they need it most (after hibernation, when they have young and prior to hibernation) we can help them by putting out food do not put out milk and bread as the hedgehog cannot digest the bread and cows milk gives them very bad diarrhoea, many hedgehogs die because of this wrong diet. 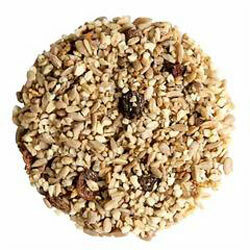 At The Recycleworks we love hedgehogs and have some ready mixed Hedgehog Food, it is similar to a hedgehog’s natural diet and following trials with the British Hedgehog Preservation Society our improved recipe includes chopped peanuts, sunflower hearts, dried mealworms, sultanas and dried blackberries. As the food contains dried ingredients, be sure to put out a bowl of fresh water as well. Any food should be placed somewhere where dogs and cats cannot get at it, especially if it contains raisins and sultanas as if eaten even in small quantities these dried fruits can cause cats and dogs serious kidney problems. Food should be put out in the evening and ideally in a hedgehog feeding station so that only the hedgehog can get to it, the easiest way to make one of these is to place a paving slab on some bricks, leaving a gap as an entrance hole and put the Feeding Bowl in the middle underneath the paving slab with the Water Bowl outside. 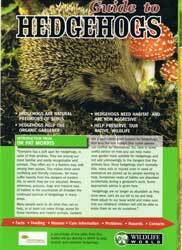 For your little or big Hedgehog enthusiast why not treat them to a Hedgehog Field Guide this four page guide includes lots of facts and information on feeding and encouraging hedgehogs to your garden.